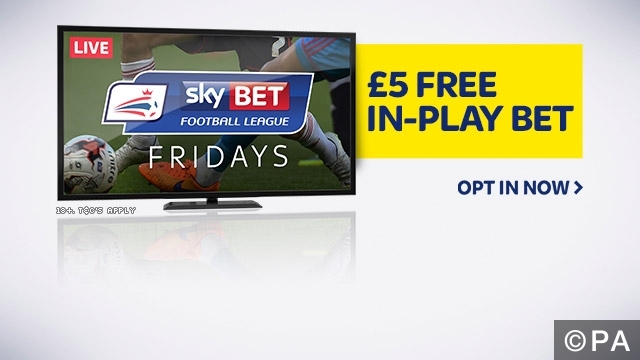 £5 Free Inplay Bet on Hull vs Sheffield Wednesday! Sky Bet customers claim your £5 free inplay bet on the Friday night clash in the Championship between Hull and Sheffield Wednesday. Your chance to get your first winner of the weekend’s betting! All you need to do to claim your free £5er is opt in and place a £20 prematch single bet at odds of 1/2 (0.50) or bigger. Want tips for your prematch bet? Take a look at our Hull vs Sheffield Wednesday betting tips preview. Our Championship tipsters are expecting a 1-0 Hull victory on Friday night which would leave the Tigers sitting pretty at the top of the league. They’ve been dominant at home this season winning 15 out of 19 games at the KC stadium. Sheffield Wednesday are currently sit in 5th spot and are looking to secure a top 6 finish which would send them to the playoffs. Sky Bet customers can also play Super 6. Your chance to win a life changing amount of money without costing a penny to enter. Predict the scores from 6 chosen matches on the weekend and if you do you’ll scoop the jackpot. This week’s Super 6 Jackpot is £1 million and if nobody wins then the highest scoring player will receive £10,000. If you want more free bets and special offers for this weekends Footy head over to our offers section. We also have Premier League and Championship betting previews for every game so make sure you have a read of them before placing your bets. Follow us on Twitter to get involved in our inplay session tonight if you want inplay Football tips. Categories: Free Bets & Special Offers. Sports: Football.